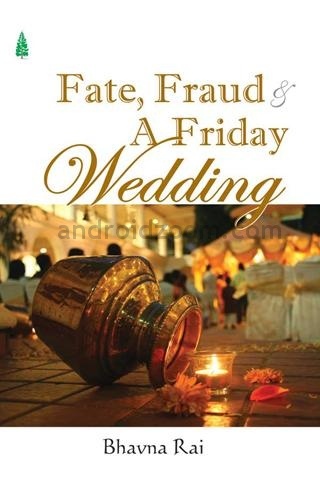 “Fate, Fraud & A Friday Wedding” is Bhavna Rai’s first attempt at writing. In a career spanning 14 years across nations, she has worked with some of the top leading technology firms of the world. To be honest, I didn’t have the slightest idea of this book until the author contacted me herself to review it. Does it work? Let’s check it out. It’s an extravagant Friday night wedding at one of the glitziest venues in Delhi. A young call center executive falls to her knees, shot by a drunken ex-boyfriend who’d been blackmailing her. Both Anand and Neel witness the event. One is the cause, the other, the effect. This contemporary novel traces the journeys of two men, one from India to the US, as he relentlessly chases his dreams and the other from the US to India, as he returns grudgingly, for the sake of his family. Caught between them is Tara Mehra, the woman they both love. One is her past, the other, her future. Can Anand’s immense personal wealth and corporate success erase the scars of being spurned by the woman he loved? Will he realize that the only thing holding back his vision, is the extent he is willing to go, to achieve it? Can Neel win the multimillion dollar bid and cement his status with his overbearing boss? Will his American girlfriend be able to get a wedding date out of him or will her efforts be thwarted by his mother’s matchmaking? Set against the backdrop of the IT industry, where aggressive growth targets and billion dollar revenues go hand in hand with the dark underbelly of Internet fraud and manipulated share prices, this is a story of crisscrossing lives and intertwined personal and professional relationships. To start with the aesthetics, the book has an interesting cover. Though it has a lot of white-spaces, the cover photograph and the font style seems interesting. Though I have read a couple of books published by Pustak Mahal, this would be their best in terms of publishing quality. The style makes you want to run through the pages of the book. Bhavna has come up with an interesting plot which keeps you captivated throughout. The number of sub-plots prevent the story from falling into a sense of boredom. The narrative is pacy and the goings – on are relatable. Human emotions, corporate fraud, Extravagance, Sexual harassment at workplace, the IT industry, Bhavna has included it all. The fact that she has been associated with this industry for such a long time lends a sense of realism to the proceedings. The four characters who stand out are Anand, Neel, Jenna & Tara in that order. The lives of Anand as the hot – shot entrepreneur who started Intellicom along with his friends and Neel as the American returned Indysoft General Manager are portrayed beautifully. Their trials & tribulations are depicted realistically. Tara, the woman who is their past as well as present is your typical Hindi film heroine whose totally confused as to what she wants with life. Though she had a huge role, to me she seemed like a pretty weak character who was too confused about her feelings. That was pretty disappointing. Jenna as Neel’s American girlfriend is shown initially as a weak willed character whose struggling in India. But with time she becomes confident of herself and her surroundings and tackles all & sundry. Moreover, Bhavna wants to bring out the events of the past and the present in a seamless manner so that the reader isn’t confused. Good intentions for sure. But sadly, that isn’t always successful. There are many places in the story where the constant back and forth movement leave you confused. The author could have done a much better job of this one. All in all, it is a decent one time read! You wouldn’t be too disappointed. Guest Post: When should you quit your job?